Auto Ship & Earn + 203 Points What's this? When you're feeling stressed and fatigued, it can be difficult finding relief so you can get back to living your life. 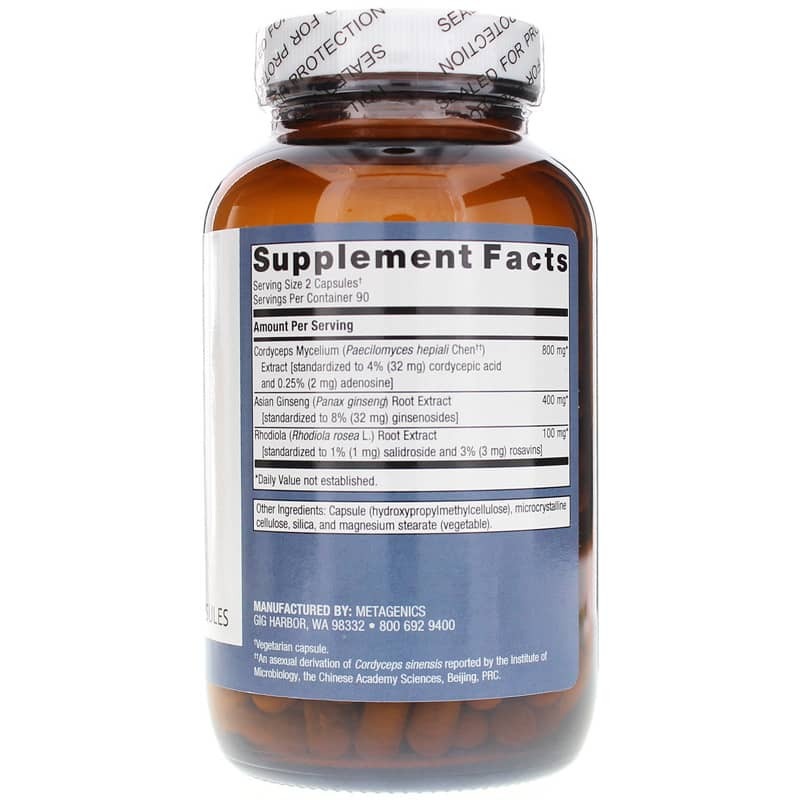 If you've been searching for an all-natural solution, Metagenics offers the perfect supplement for your needs. Adreset Adrenal Formula combines a number of herbal extracts that provide optimal stress relief and help you recover from fatigue. Don't let stress and fatigue interrupt your life and your health. Give Adreset Adrenal Formula from Metagenics a try today and get back to doing the things you love. Order yours now! Other Ingredients: capsule (hydroxypropyl methylcellulose), microcrystalline cellulose, silica and magnesium stearate (vegetable). 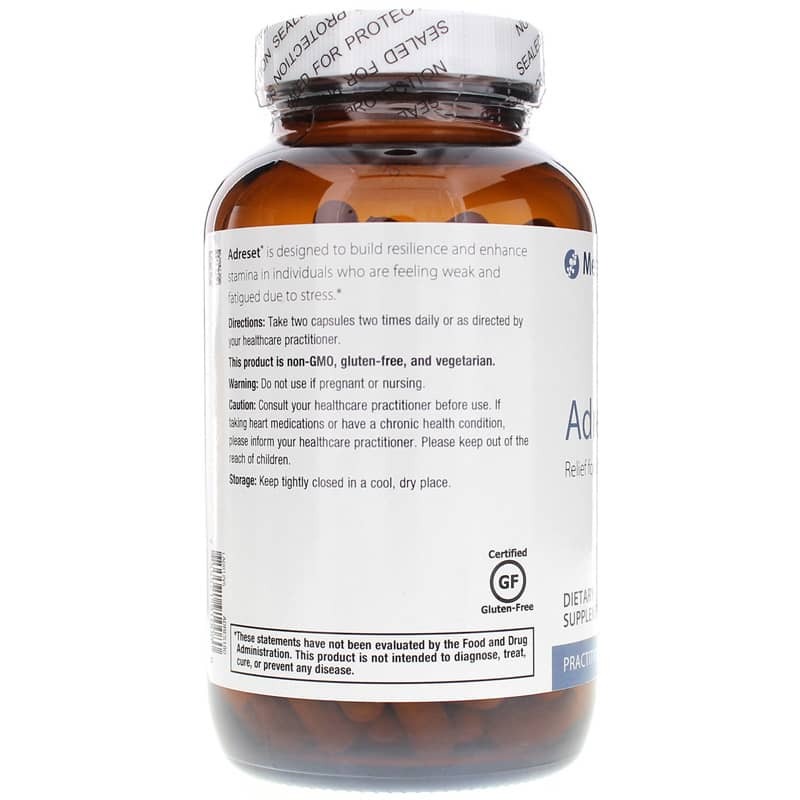 Adults: Take 2 capsules two times daily or as directed by your healthcare practitioner. Do not use if pregnant or nursing. If you are taking medication or have high blood pressure, consult your physician before use. Keep out of the reach of children. but am amazed by this herbal product. Has made a world of difference in my level of energy. My primary care physician recommended it. 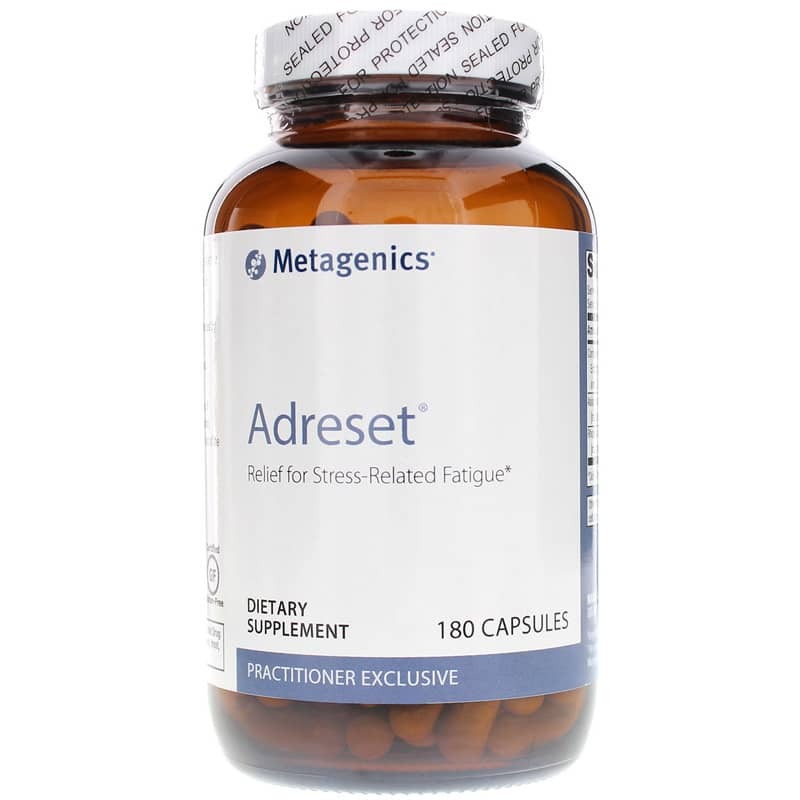 Adreset Stressed and Tired Adrenal Support Formula was recommended by my doctor and has proven to be beneficial. Great line of products, excellent prices, rapid shipping, and VERY friendly, polite customer service representatives ! Great products - great customer service ! I have been ordering from Natural Healthy Concepts for a number of years now. They are a wonderful company. Excellent prices,prompt orders, packed caringly and very friendly customer phone service. A car accident has left me in chronic pain. My sleep is torturous. Adreset keeps me alert and more motivated. On my worst days when my fatigue morphs into an explosion of pain, Adreset prevents that process, preempting the haze and pain to keep me functional. Thank God I found this product. Has really helped to give me more energy and mental clarity!